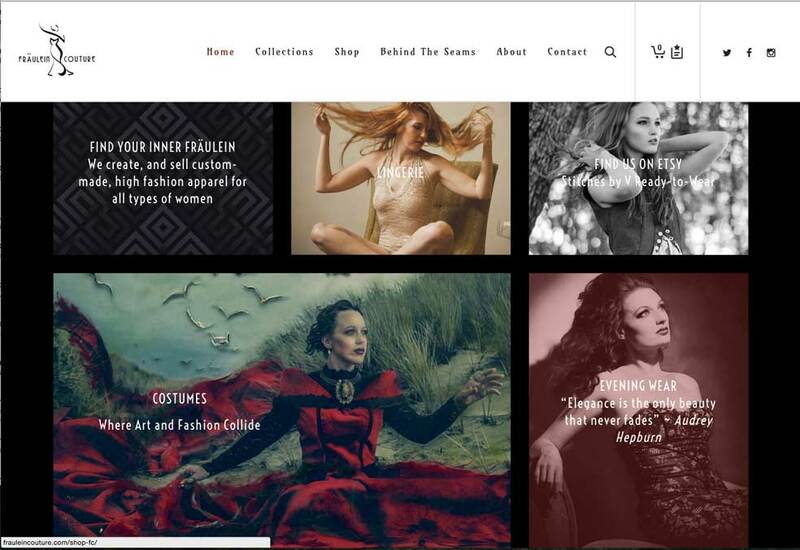 Fräulein Couture is an amazing garment company, creating boutique, hand-crafted pieces in Eugene, Oregon. 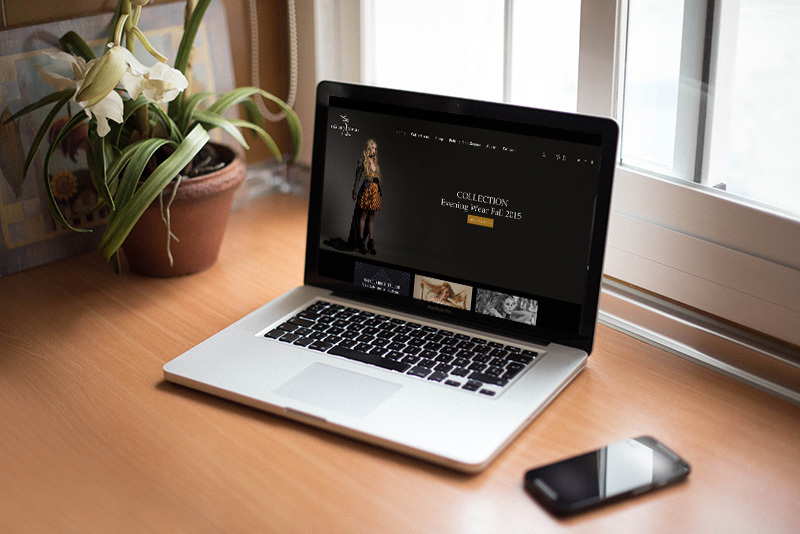 After completing their logo design, we design and developed a website that kept their brand identity in mind: dark, strong and powerful. 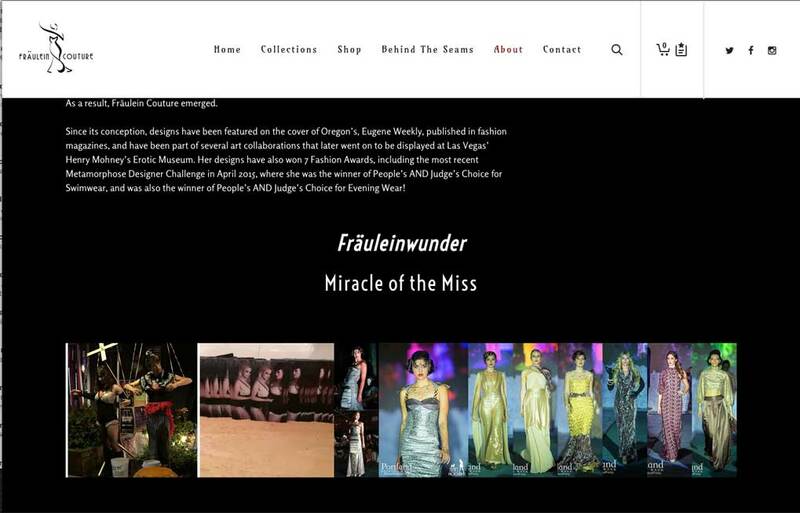 Fräulein Couture's website needed to showcase their recent collections, events and press while also acting as an E-Commerce website. Large images and easy navigation was key. The site is also responsive, for easy viewing on a mobile, tablet or laptop. Social media icons and an Instagram feed will also encourage the user to follow, like and spread the word about this up-and-coming Northwest couture label.